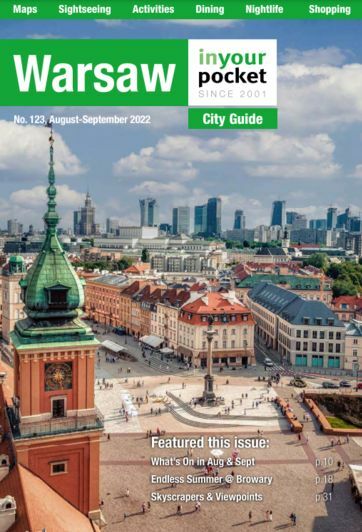 If you’ve spent any time in Poland, you know that queuing is a bit of an art in this country, if not a national pastime. 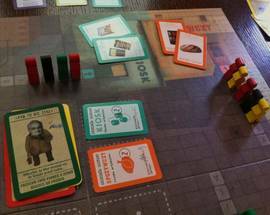 Well now, thanks to the Institute of National Remembrance (Instytut Pamięci Narodowej), it’s also the subject of a marvelous board game. 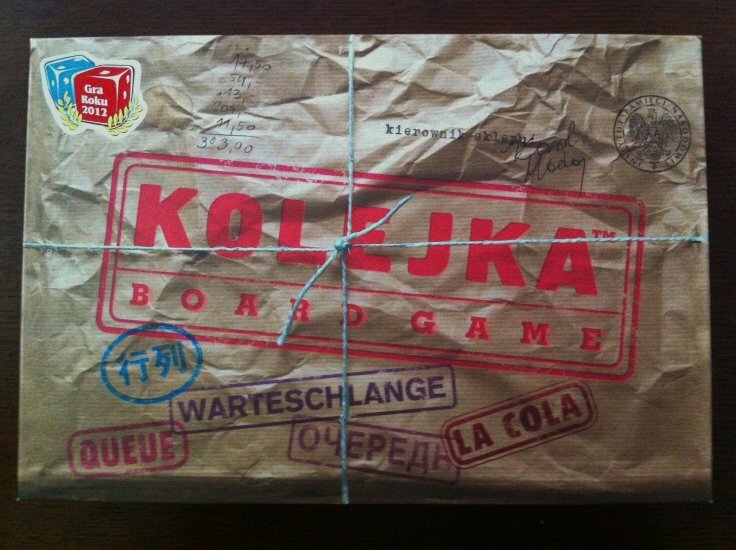 Combining humour, history and nostalgia with slick design and clever, exciting game play, Kolejka (that’s ‘Queue’ in British, and ‘Line’ in American) has become one of the most popular board games in Poland, and it’s no surprise that it was named ‘2012 Game of the Year’ by industry experts - the first time a Polish-designed game has ever earned that honour. For 2-5 players, the object of the game is rather simple: each player has a family of 5 members and a basic shopping list, all the items on which must be acquired in order to complete a rather ordinary task such as ‘getting the kids ready for camp’ or ‘preparing for first communion’; the first player to complete their list wins the game. 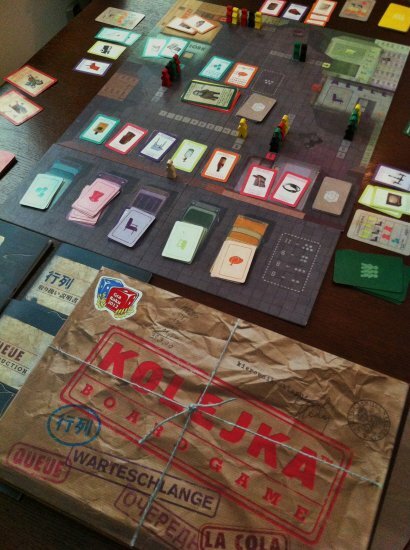 However, this game takes place in the historical context of 1982 Poland and, due to shortages, basic goods are limited and difficult to acquire. 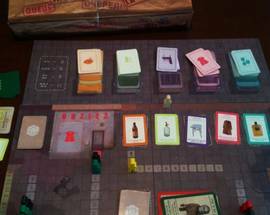 Game play entails players placing their family members in queues outside various shops and then using a combination of strategy and luck to slyly maneuver their pawns to the front of the line where they stand the best chance of coming home with an item on their list when the shops open for business. 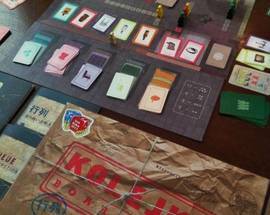 Of course, players don’t necessarily know which shops will be receiving a delivery that day, nor the quantity or specific products – all of which are actual brand items produced during the communist era. Play is made more lively by the absolutely absurd but sadly realistic strategies employed to manipulate the queue, including borrowing someone else’s baby to get to the front of the queue or losing your position in line for badmouthing the authorities. 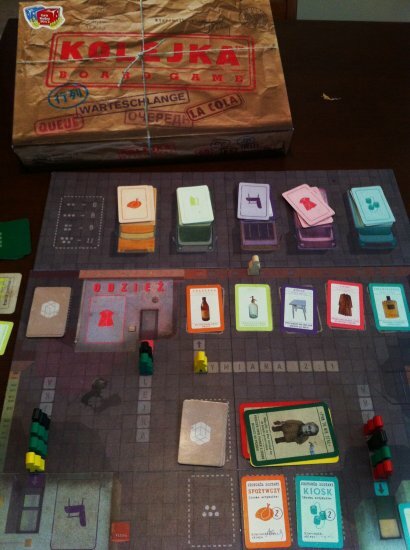 The black market is another aspect of play where needed items may be available for barter. 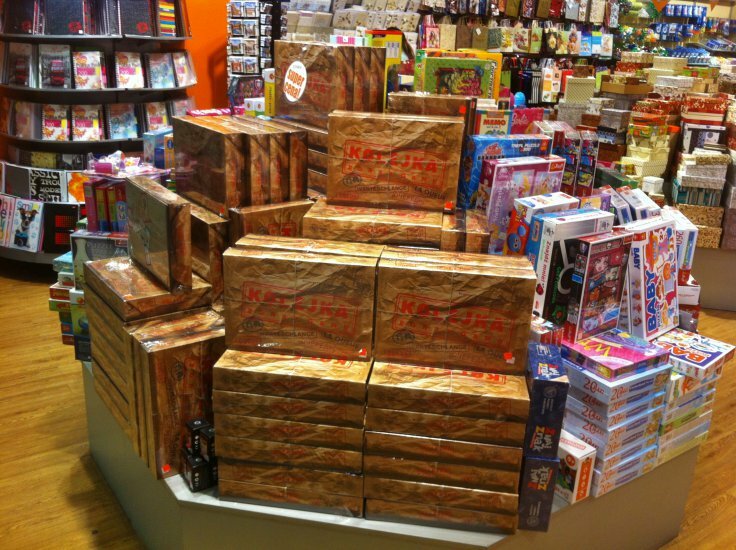 First designed and released in 2011 as an educational tool to teach young people about the difficulties of everyday life and the economic consequences of the communist system in Poland, Kolejka soon proved so surprisingly popular, particularly with foreigners, that IPN was prompted to manufacture a second multilingual edition to meet demand. 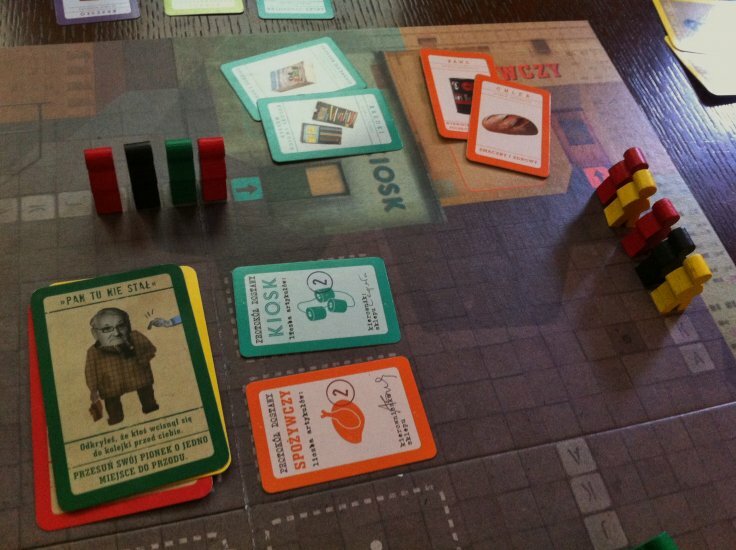 The second edition features game cards and instruction booklets – including period photos, historical background and critical essays – in English, German, Spanish, Russian, Polish and Japanese. 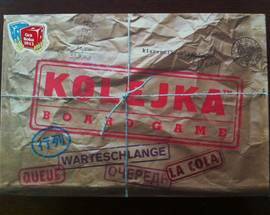 In addition to being a “history lesson in a box,” Kolejka is also wildly fun to play and makes a uniquely Polish gift or souvenir. Standing in line was never this much fun. 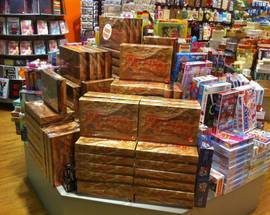 Retailing for about €35, unfortunately the availability of the multilingual edition has been inconsistent. When possible we keep the game in stock in our IYP Shop, so check there first. If we can't help you'll have to try and find it from an independent seller on e-commerce sites like ebay or allegro (just make sure you're getting the language version you need! ).